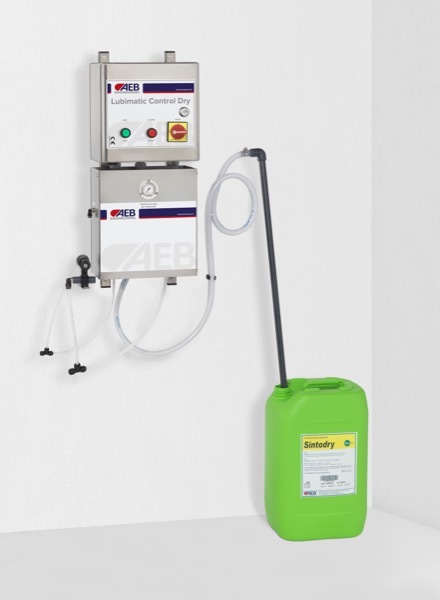 The evolution of the dry lubrication in the bottling industry was launched by AEB at the end of 2007 when we presented Sintodry and has been optimized during the following years by the creation of an automatic system of distribution. This kind of distribution device is a real innovation that has revolutionized what existed on the market. Dry lubrication is based on formulations which are ready to use, that is with no dilution in water, and supplied automatically on the belts, with specific equipment and suitable spraying stations, for short time – from 5” to 15” with a time interval that may reach 4-5 hours between one delivery and the other. This system, called Dry-System, enables a product saving of about 70-80% and this means a saving of more than 50% from the economic point of view. – no danger that operators can slide, hence a reduction in the possible accidents caused by the lubricant solution on the floors. In order to value the “compatibility” between lubricant and container, trials are carried out on the different materials (glass, PET, PVC, paper/poly-coupled, tinned plate) and also the impact towards serigraphy, inks, etc. Other evaluations are carried out when the lubricant is optimized, with the survey of the different friction values, suitably measured. 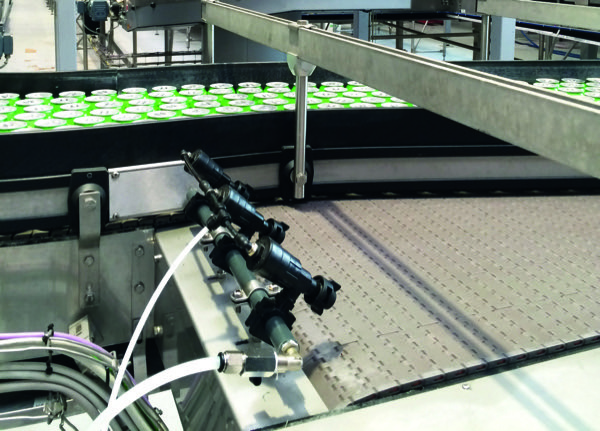 The survey is carried out in the different parts of the conveyor belts, empty or full containers – accumulation areas – production stop with belts moving – areas with a particular friction – belts utilized for packaging in different sizes. All the gathered information will contribute to define the supply/non supply times, the number of spraying station and the kind of supply heads. 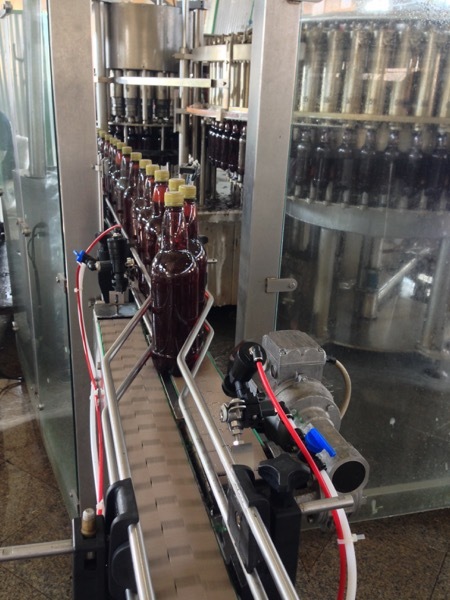 AEB Engineering, the division of AEB specialized in professional equipment for food and beverage industry, proposes Lubimatic Control Dry, centralized equipment for the automatic supply of “DRY” lubricants, with a ON/OFF programmable timing system. The lubricant is conveyed to the line by means of a membrane pneumatic pump with a pressure of 2,5-3 Bar. The system is suitable for one or more lines with the application of “satellites” and is able to supply up to 80-90 spraying stations. The spraying stations utilized with Lubimatic Control Dry are dry-system and anti-drop and are able to grant a particular homogeneous nebulisation of the product on the entire surface of that particular area. Lubimatic Control Dry is used only with AEB “DRY” lubricants Sintodry. – carry out possible modifications of the lubrication plant if there are changes in the order of the equipment and the relative conveyor belts.